We focus on distinctive investment opportunities and only present the best quality fund managers to investors. We have broad ranging industry relationships and first hand knowledge of what is happening right across the industry. We understand what the funds and institutions want. We have a good track record of working with both offshore and local clients. Our approach is tailored for each client. We identify the list of investors that best suit the style of management of the fund manager. We ensure that fund managers are prepared for the demands of the Australian institutional marketplace and ensure that their offer conforms to Australian best practice. We support investment organisations who don’t necessarily dance to the same tune as the crowd. 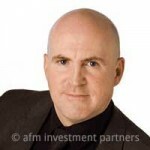 John is the Founder and the Managing Director of AFM who deals with clients across Australia, UK and USA, Indonesia, Singapore and Hong Kong. John is an experienced company director and has compliance experience as an independent member of a managed fund compliance committee and Responsible Manager of an Australian Financial Services Licence. He was a director of superannuation administration business Adminpartners, and was a director and Chair of Gippsland Water Board’s audit committee. In addition, he is a former member of the Victorian Finance Industry Council and is currently involved with the Australian Centre for Financial Studies. John is a Senior Fellow of Finsia, a Certified Practicing Marketer and Fellow of the Australian Marketing Institute, an associate member of the Australasian Investor Relations Association, a Fellow of the Australian Institute of Management and Graduate Member of the Australian Institute of Company Directors. John holds a Master of Public Relations and is a non-executive director of a major public transport company and also of a major hospital. The experience of our team in different roles has given us an outstanding list of contacts right across the local industry. AFM has established a wide range of contacts in the industry and associated areas. This works well for our clients as they form relationships with key people and develop an understanding of the local industry.